All credit cards accepted. Simply Send your all details including Phone Number on the paypal page and we will contact you within two hours. 12 EDT Lessons & January special offer! 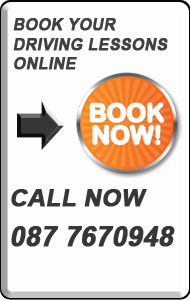 This is Dublins cheapest price for edt lessons when compared with other leading Driving Schools. This course is 6 hours with mock test and has a 98% pass rate for Driving test centre. 6hr Pre Test Course & january special offer! WE PAY FOR YOUR DRIVING TEST!This our most popular lessons with a 100% driving test success rate!! We will pay your driving test fee if you fail. We wont stop paying untill you do pass!! 100% Guaranteed!!. See pass promise for details. Includes free 1hr pre-test before your test! © easyDrive Driving School easyDrive Driving School Registered business in Dublin, Ireland. See terms and conditions. Prices may vary and are subject to change anytime. All special offers cannot be used in conjunction with any other offer or promotion. See terms and conditions. Terms and conditions apply.Special offers cannot be used in conjunction with any other offer or promotion. Terms and conditions apply.